Discussion in 'Gen 3 Prius Main Forum' started by pozuelor, Feb 11, 2019. I have driven a Prius in the past in a previous job and have fallen in love with the idea of getting 50mpgs (both for the environment and my wallet). My buying decision is different because I do not live in the US. 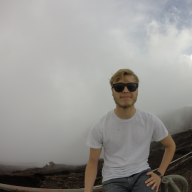 I live in Costa Rica, where cars are about 40% more expensive than in the US and gas is about $4.35 a gallon (tropical paradise, am I right?). 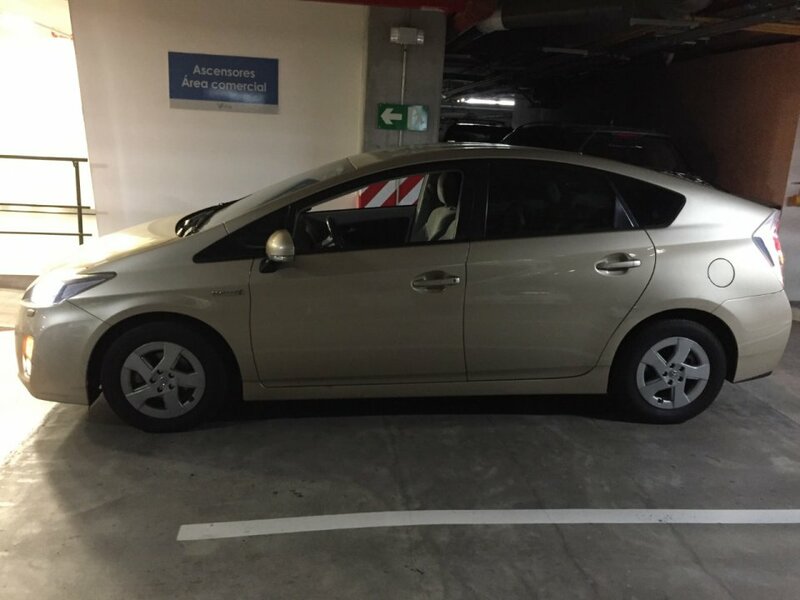 I found a 2010 Prius in great condition for an extremely reasonable price. Considering the price of cars in my country, and gas being so expensive I am really looking into buying this car. Additionally, the car only has 66k miles on it. Most of the cars in my country have low mileage because it's a small country and there's plenty of traffic jams. So I am not too concerned with it "not being used enough", maybe not as many miles but I am sure about the same amount of time. I am buying straight from a Toyota dealer, so they are offering me a 1 year warranty on the battery and 6 months on the engine and transmission. I would use the car for family trips and as a daily drive to work which is a 20 min drive. Any input would be greatly appreciated! I have read so many mixed opinions, but I feel like my scenario is unique. I would like to add, a Corolla would be another option but I really don't like their design and saving on gas is important for me. In the US the warranty for the traction battery is 8 years or 100K miles...or 10 years 150K miles for CA and the other ~9 CARB states. So yours is already 8 or 9 years old but with low mileage. So on paper getting a 1 year warranty isn't much...but the battery should last for a long time based on what Toyota expects. Is it worth it? Don't know, you didn't give a price. biggest issue i see is repair costs. are you an advanced diy type? are salvage parts readily available? if not, before purchasing, ask the dealer about repair costs for a new hybrid battery. From what I gathered from reading posts about HV battery failures is that they last 10 years. Save up for new battery replacement if you decide to buy w/original battery. Wow, a dealership is giving you a year warranty on the battery? I'm driving a 2010 with 94,000 miles. The engine and hybrid system have been flawless. Another benefit to Toyota hybrids is that brakes last a very long time, mine are original with plenty of brake pad left. Some people seem to have battery failure from too little use but failure before 100,000 miles is rare and your could last a lot more than that. Some 2010s burn oil after a while (mine burns some), so check it regularly if you buy it. Yes, check on battery replacement costs in your country and put aside money for eventual repairs but I would say if the price is right go for it. scona and pozuelor like this. The module is $40, but you still have to remove the assembly, and then disassemble it, to replace it. Not a big deal for me, because I would do that to save the labor cost. But if you can't do that, the labor would be high. Did I misread what he posted? "I am buying straight from a Toyota dealer, so they are offering me a 1 year warranty on the battery and 6 months on the engine and transmission." Then I suppose it's as worth it, as any used 2010 Prius could be. But that's not really too much to go on. Do you know or can you find out anything about it's history? Accidents? Maintenance History? The price is $11,000. A really high price in the US, but to put it into perspective a used 2014 Corolla at the same dealership is $16,200 and a used 2013 Rav4 is $19,400. Like I said, prices in my country are insane. Plus, gasoline is $4.35 a gallon. The car price is reasonable in my opinion (ignoring the US prices) and it would save me a lot of money in gas. I'm just curious if it sounds like a good offer since I've never own one and I am not sure about what could go wrong on it. I will attach some pictures so you can at least see the exterior - although I am sure that won't tell you too much. I am intermediate in my DIY repairs, but the Prius does sound a bit intimidating. Thanks for the input, that's very helpful! I will definitely reach out to the dealer about those repair costs and make a decision based on that. I was very surprised by that too. But to be honest, I think the battery is not my main concern. As a first time Prius owner (potentially) I think my main concern has been focused on the hybrid side of the vehicle, however, the more research I do the more I find about the battery and hybrid components being the least common thing to repair on a Prius. Every car will break down eventually....so maybe I'm inflating my fear about it being a Prius? haha I don't know, what do you think?! Thanks for you input! It's very helpful as I am making this decision! The Toyota dealership is about the only place you can get the car worked on, so I do have access to the history of the vehicle. From what the seller told me, the car has been regularly serviced and the mechanics performed tests on the battery assuring me that they wouldn't sell it otherwise. I have found the Prius is a very easy car to work on. There are plenty of youtube videos of various tasks. And if you just go slowly, and make notes, take photos, if you are mechanically inclined, you won't have a problem. It's a US car I assume. I'm guessing it's a level II? It has fog lights (but maybe aftermarket? ), but not the back up screen, and 15" wheels. 1. Underside, nothing dangling, missing. 2. Engine bay, relatively clean, no big build-up of leaves, not too rusty, check the dipstick, reservoir levels. 3. Check under the hatch floor, make sure the spare, scissor jack is present, have a look at the 12 volt battery while you're there. If there's locking lug nuts on the wheels, make sure the special socket is clicked into place, in the same tray with the scissor jack. 4. Look over the body carefully, open/close all doors and hatch, listen/look. Check all the glass. 5. Check interior upholstery, carpeting, look under the dash for hanging wires, modifications. 6. Run the car, make sure the heat works, the AC is cold. 7. Has two fobs? They both work? 8. Check all the tires match, tread looks ok.
Bay Stater, bisco, pozuelor and 1 other person like this. It's a US car I assume. I'm guessing it's a level II? It has fog lights, but not the back up screen, and 15" wheels. 3. Check under the hatch floor, make sure the spare, scissor jack is present, have a look at the 12 volt battery while you're there. Great advice! I will go over to the dealership again this week. I will bring this list with me. Thanks! I am buying straight from a Toyota dealer, so they are offering me a 1-year warranty on the battery and 6 months on the engine and transmission. 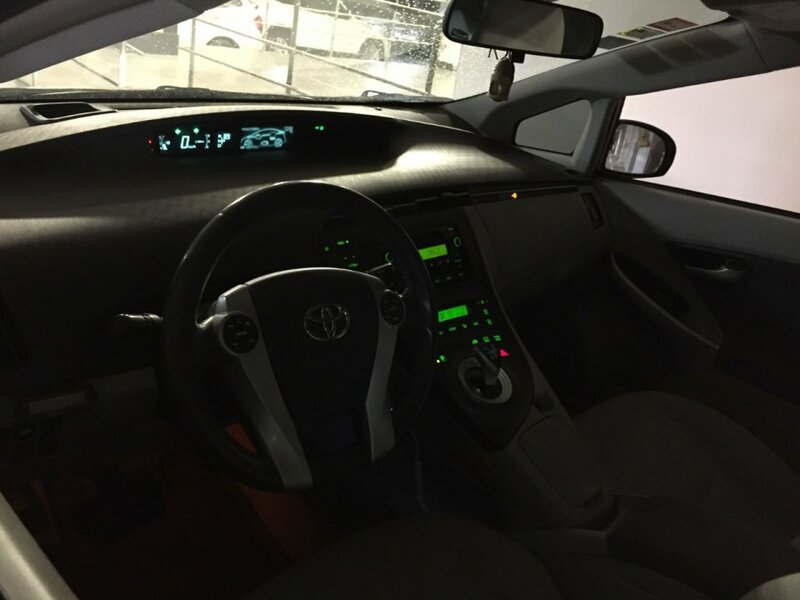 The 2010 Prius has 2 batteries, a 12-volt battery, and a high voltage traction battery. You do not specify which battery will have a one year warranty, make sure that the warranty is for the high voltage battery. Try to find out how old the 12-volt battery is also, they tend to need replacing between 5 and 7 years on average, but the cost is much less than the larger traction battery. Most of the other issues that are of concern are already well covered in all the other responses already received here. Good luck with your purchase. Raytheeagle and pozuelor like this. ^^Good advice. Find out more about the 1 year warranty on the battery. It's rare that a Toyota dealer would warranty the battery for 1 year- if we're talking about the hybrid battery. That would be a big selling point for me. I'd find out the exact warranty for the hybrid battery in Costa Rica before purchasing. However, if we're talking about the 12v battery getting a 1 year warranty, then that's nice to have as a toss in, but not a big deal. If that ain’t in writing and in your hands then they gonna pull a fast one in you. Long ago I was shopping for a Prius, they advertised that it was leathered. When I got there it was cloth, I used that inaccurate listing to knock down the price one grand lower. After pointing out some other imperfections, they said they would put leather on the seats and accept my one grand less offer. I said put that in writing then you have a deal, they said no we won’t do that. And I ran, I ran so far away. m.wynn, pozuelor and Threej like this. I cannot agree more with you. I've had experiences in the past with jobs and other businesses where unfortunately I learned this the hard way. I will definitely not pull the trigger unless I have it on paper. Great advice, I appreciate it! 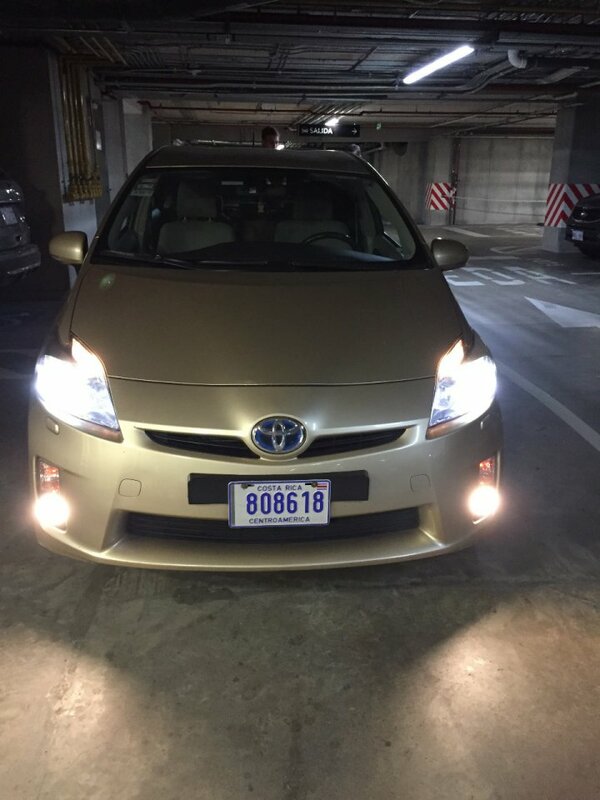 Is 150K+ Mile 2010 Prius Still Worth It?